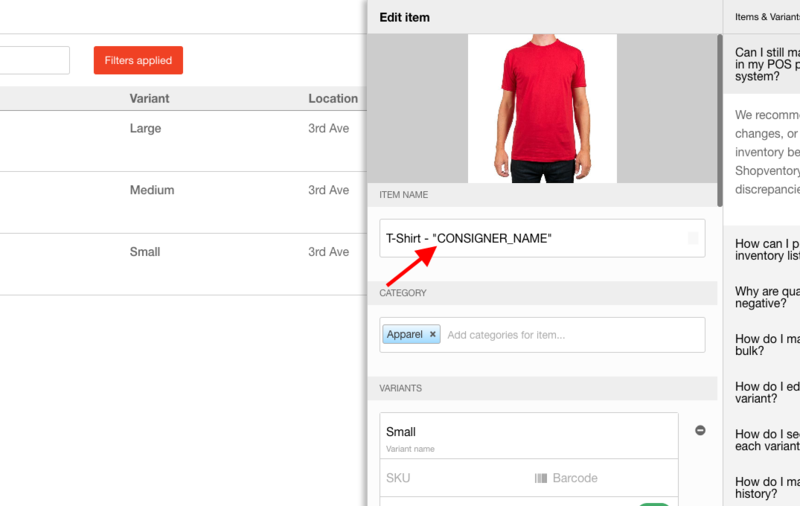 The best way to track consignments in Shopventory is by using the Product Name field. Simply enter the consigner name, or a code that you've assigned to that consigner (such as "123" or "ABC"). This way, you can use the search box in the Products & Variants tab or in the 'Reports' section of Shopventory to filter and only find results for that consigner. Once you can filter by consigner, you'll be able to have accurate counts and Sales Reports at a glance!